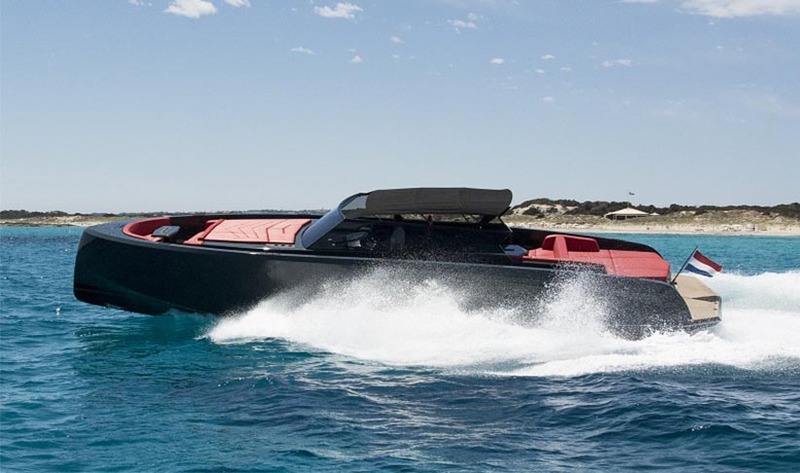 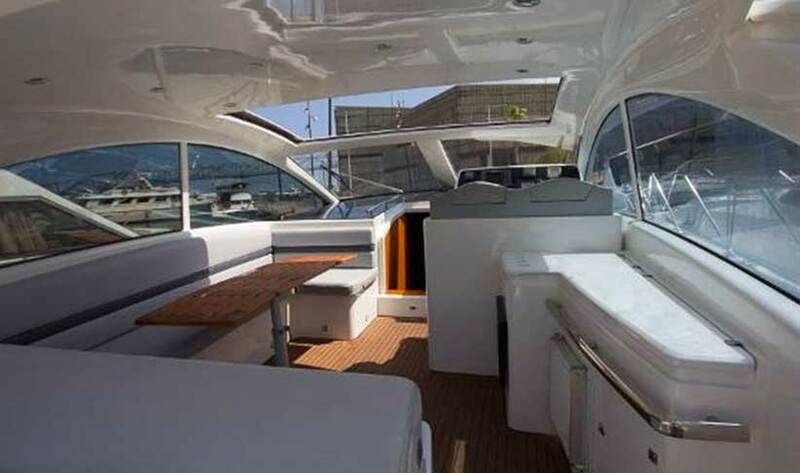 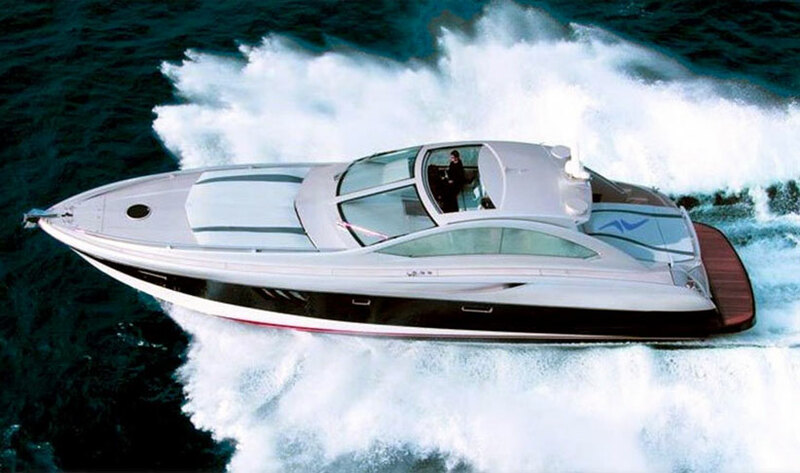 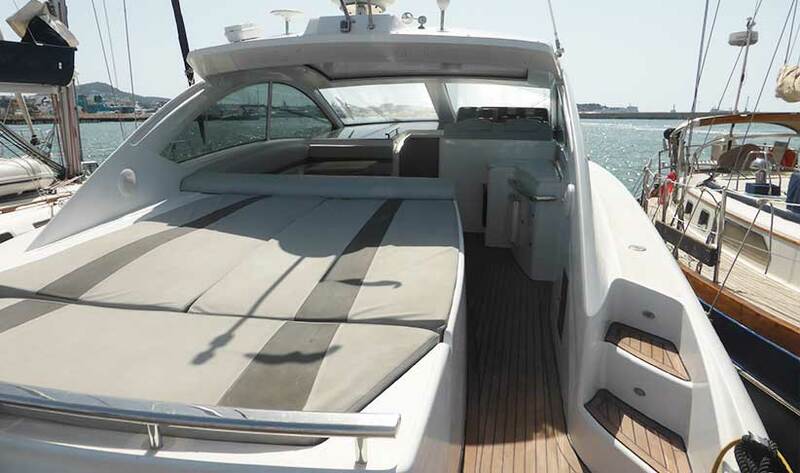 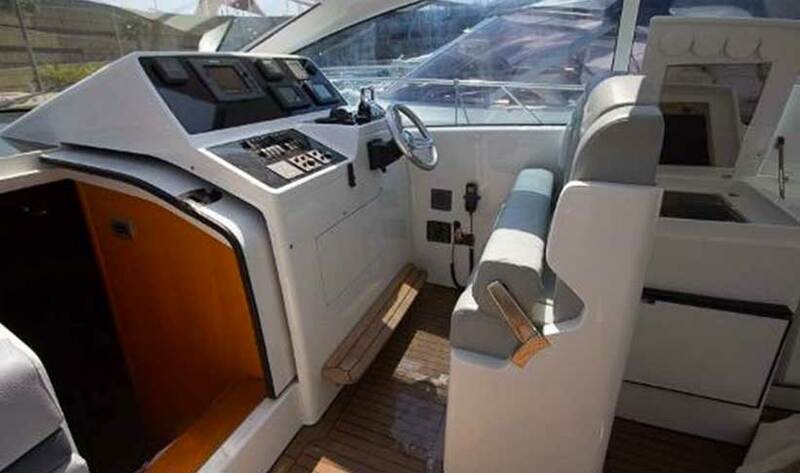 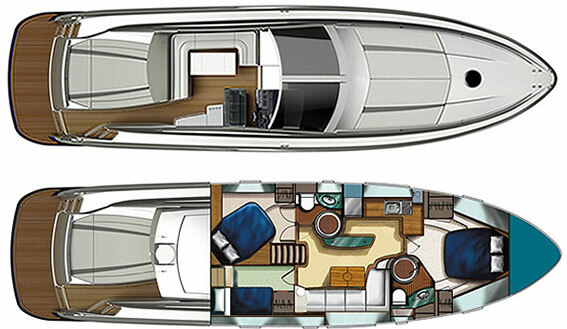 Built in 2008 but with a refit 2015, this Numarine 55 is exhilarating fast, agile and fun whilst being luxurious. 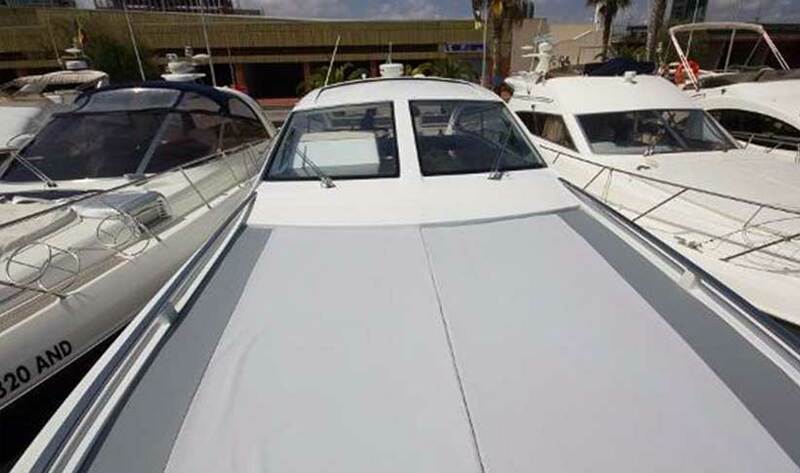 The beam of this boat is wider than average so she feels bigger than she is. 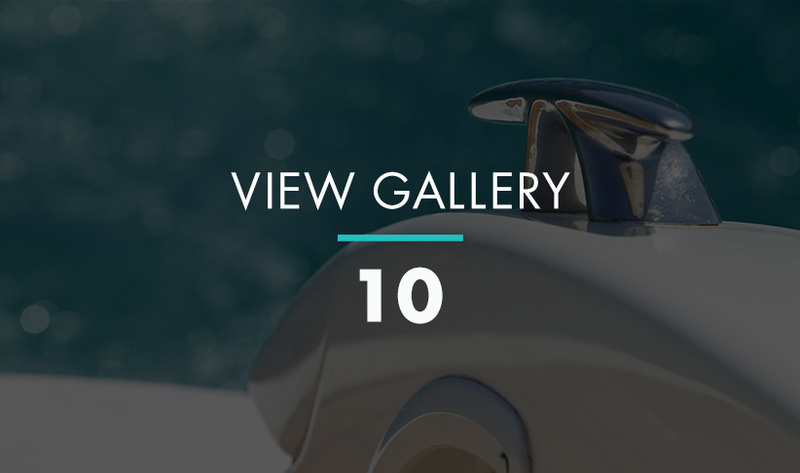 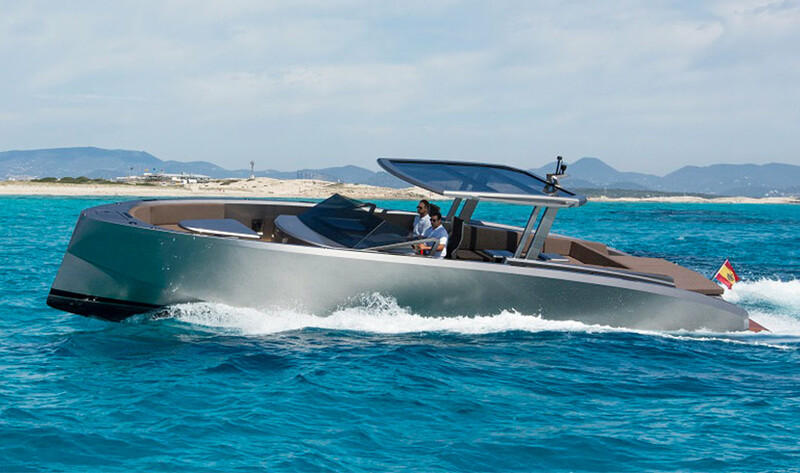 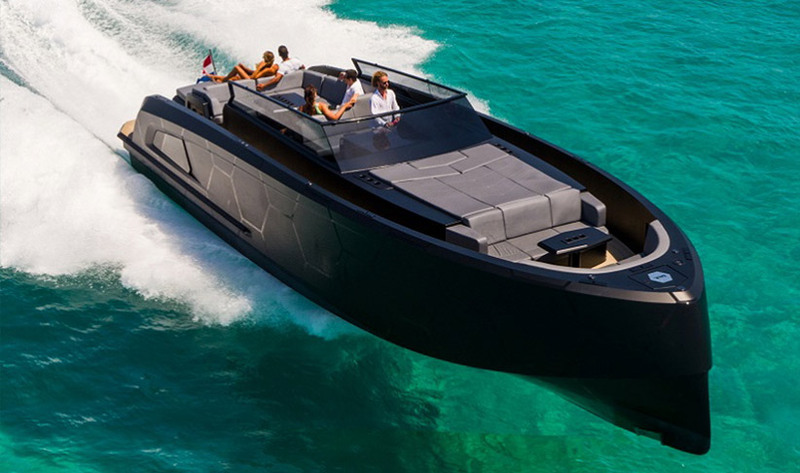 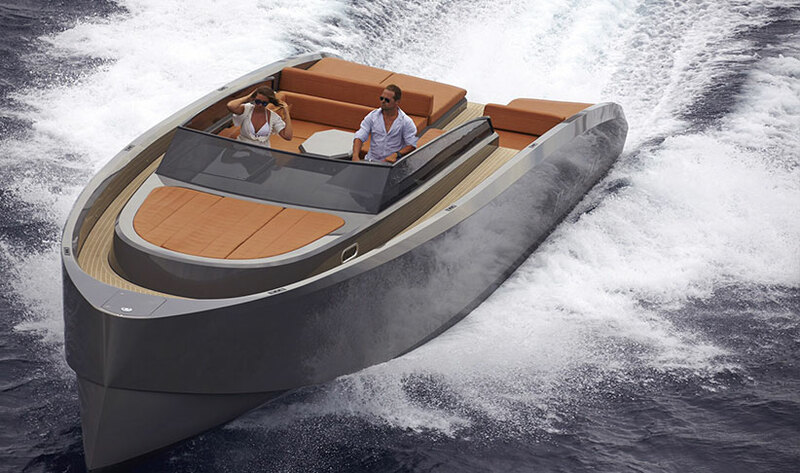 Described as a head turner, this luxury yacht, with a top speed of 36 knots, is the perfect boat to make your entrance this summer in ibiza. 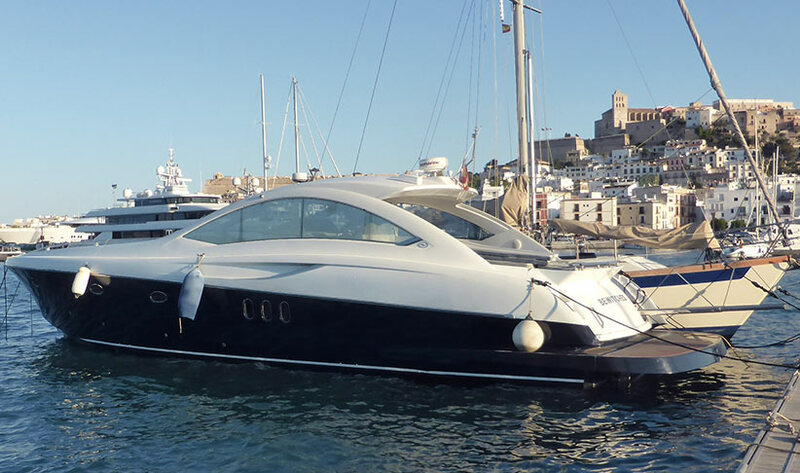 Moored in Club Náutico, Ibiza the Numarine 55 is perfect for day charters accommodating up to a maximum of 11 guests and a skipper and up to 6 guests in 3 cabins, for overnight stays in port or 4-6 at anchor subject to mutual agreement. 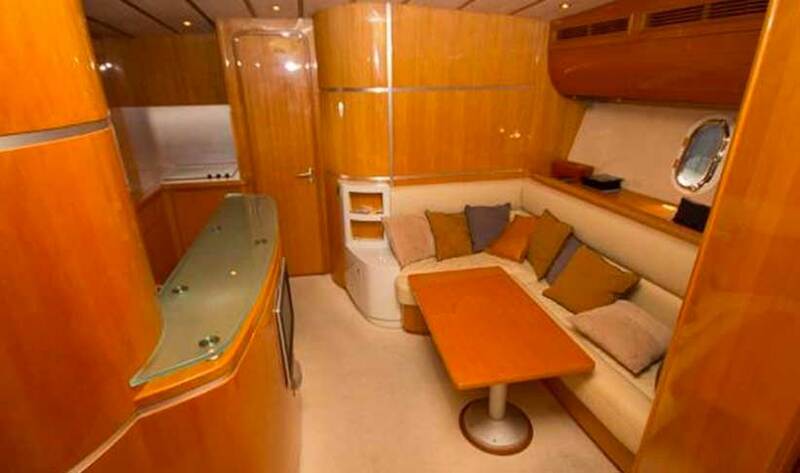 All cabins are en-suite and two cabins can be twin or double. 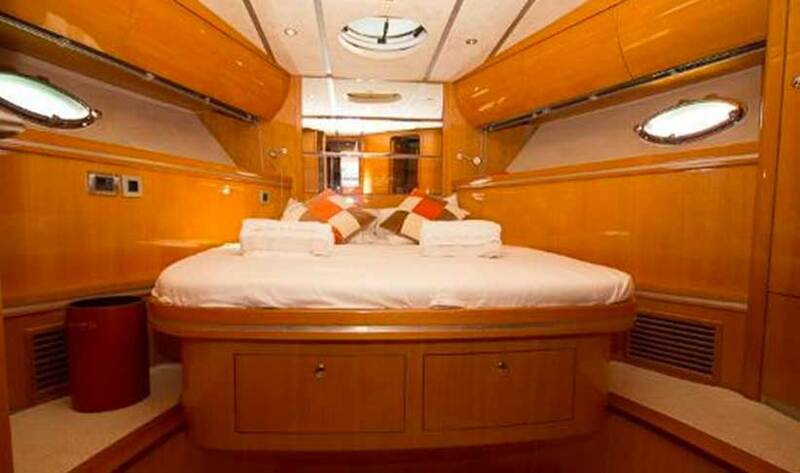 No additional fee to sleep in port for stays of 2 or more nights. 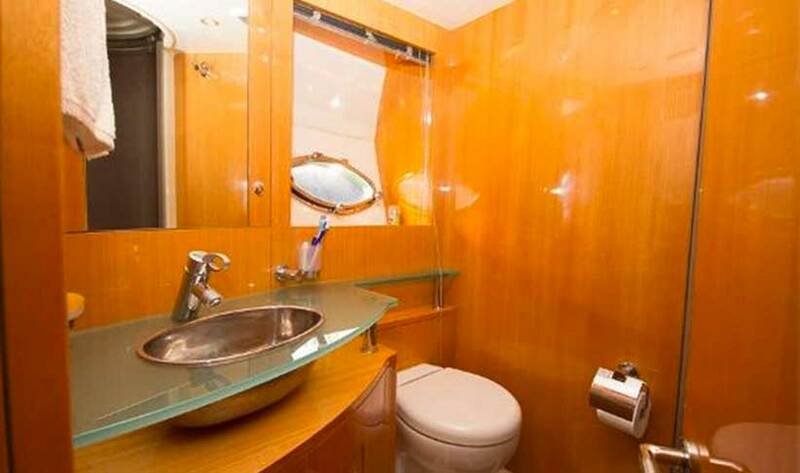 €150 extra fee to sleep at anchor.